The Fitness Mad Swiss Ball 300kg, Pump and DVD - 75cm is burst-resistant and has a load rating of 300kg. 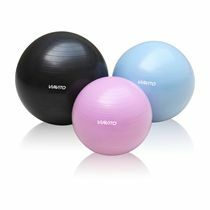 The ball comes with a comprehensive training DVD including 40 great Swiss ball exercises: warming up, body weight workouts and dumbbell workouts using the ball. 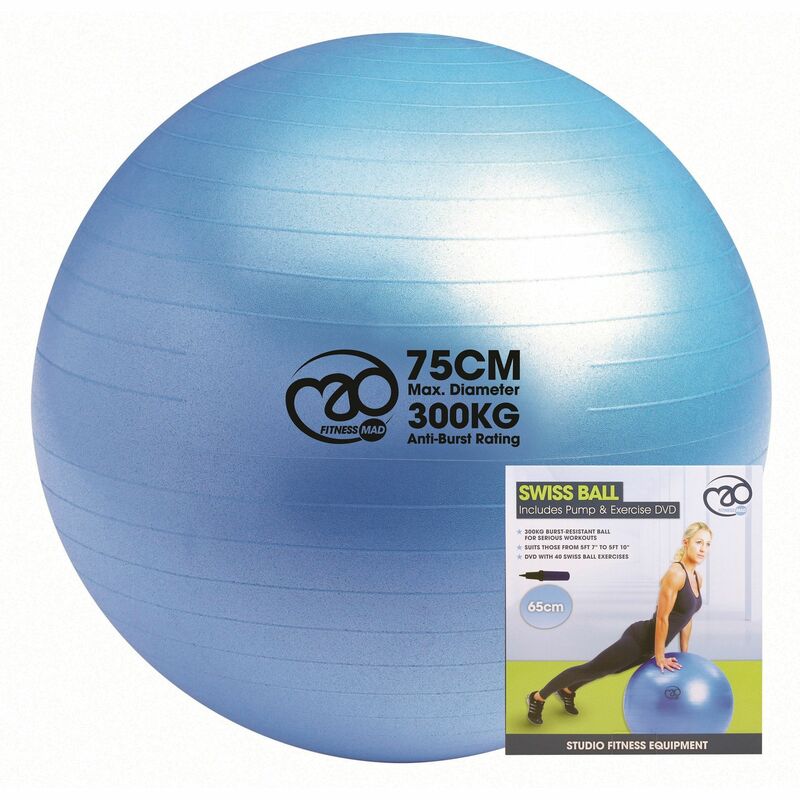 Suitable for people over 5'10"
for submitting product information about Fitness Mad Swiss Ball 300kg, Pump and DVD - 75cm We aim to answer all questions within 2-3 days. for submitting product information about Fitness Mad Swiss Ball 300kg, Pump and DVD - 75cm. We aim to answer all questions within 2-3 days. If you provided your name and email address, we will email you as soon as the answer is published. for submitting product review about Fitness Mad Swiss Ball 300kg, Pump and DVD - 75cm.